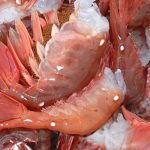 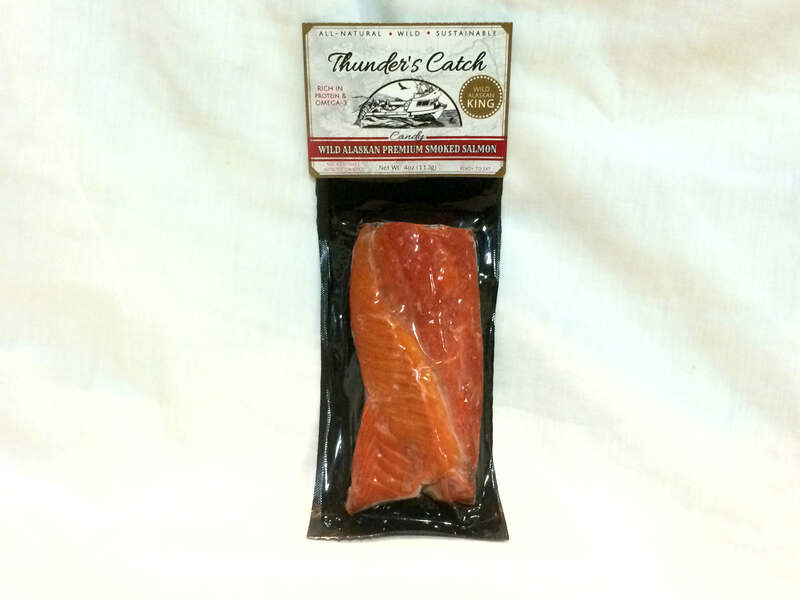 Blast frozen – 4oz (113g) pieces – Wild Alaskan King (Chinook) Salmon caught by the fishermen at Thunder’s Catch, using all-natural hardwood hot smoke, touch of brown sugar, salt and spices to get the perfect Smoked Salmon taste. 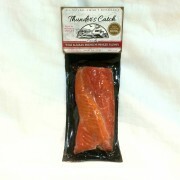 Thunder’s Catch pride their candysmoked salmon as being firm and caramelized. 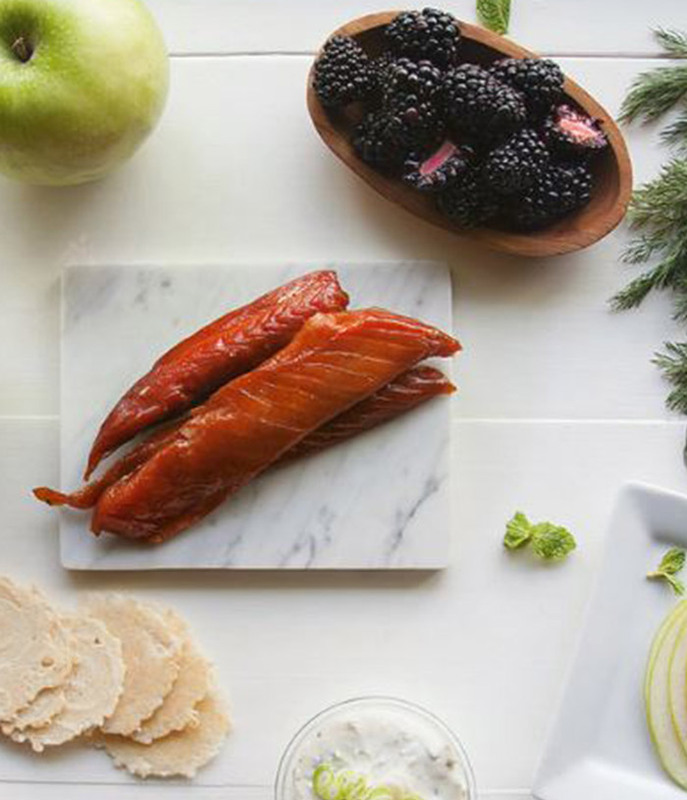 Offering layers of sugary sweet flavor and bold smokey aromas and undertones.